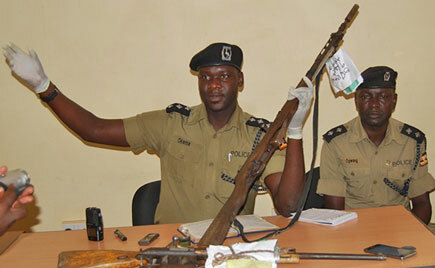 GULU – The Police in Acholi sub-region have registered an increase in murder cases in the recent past. Statistics show that 56 murder cases have been registered in the eight districts of the Acholi sub-region, between June and August this year. The districts are Amuru, Omoro, Nwoya, Gulu, Kitgum, Lamwo, Pader and Agago, with the month of August having more cases compared to June. Sharing the statistics Aswa river region police spokesman, Jimmy Patrick Okema said the districts reported cases of murder as follows; Omoro had 11, Gulu had 10, Nwoya – reported nine, while Agago had six, Amuru six, Pader registered five, Lamwo four and Kitgum four. Out of the 56 cases registered, Okema said 38 are under investigation and 18 cases are already before the court. According to the region’s police spokesman, most of the cases registered originate from mob actions, domestic violence, land wrangles and assault in bars, and clubs. He added that people with bitterness over land disputes among families, or victims of domestic violence should learn to share their grievances with relatives, local leaders and religious leaders for guidance. “We appeal to both traditional, local, religious leaders and elders in the communities to help in handling the prevention of murder incident through engaging people with complaints against the other to dialogue,” he said. The Police Annual Crime Report 2017 shows 4,473 homicide cases. Out of 4,473, a total of 603 people were killed by mob actions, 361 through domestic violence and Aswa river region came second top with 44 murder cases after Rwenzori West with 51 cases.